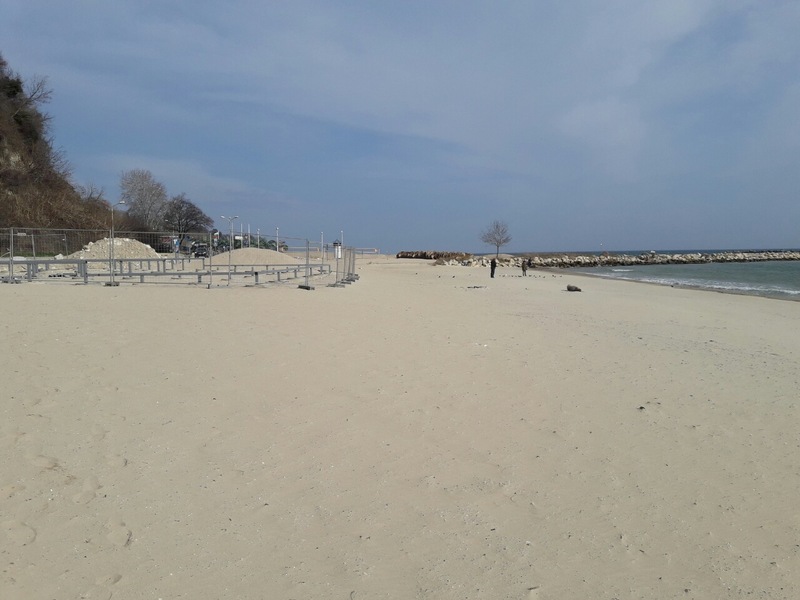 The inspection of “Ofitserski-Iztok” sea beach in Varna, ordered urgently by Minister of Tourism Stela Baltova in relation to alerts of ongoing construction works on its territory, ended with no findings of violations. The inspection was conducted jointly by representatives of the regional administration in Varna, Varna Municipality and the Ministry of Tourism in the presence of the lessee of the beach the company Temenuga 2014 EOOD and the media. It was found that there were construction works on the beach but they were carried out in accordance with the legal requirements and the plan for movable objects, reconciled with the Ministry of Tourism and approved by the municipality. The concrete elements found there are movable and they serve as a foundation of a movable object, not a solid one. A statement of ascertainment was drawn up after the inspection, stating the lack of violation of the laws or the contract and excluding the need for drawing up a penal act. We would like to remind that pursuant to the contract the lessee may install movable objects and facilities, including extra commercial space around the fast-food restaurants, subject to approval by the chief architect of the municipality, based on a specialized plan for the movables objects and facilities, including extra commercial space, approved by the minister of tourism. For “Ofitserski-Iztok” sea beach there is a plan for the movables objects and facilities, including extra commercial space, approved by the minister of tourism on 22.07.2016, and compliant with all legal requirements. The permit for the installation on the area of the sea beach is granted by the chief architect one-off for the term of the lease (art. 13, para. 7 of the Black Sea Coast Development Act) and is valid until expiry of the term of the lease or until modification of the plan and its approval under art. 13, para. 3 of BSCDA. Pursuant to art. 56 and art. 57а of the Spatial Development Act regulating the installation of movable objects and facilities and their removal, the mayor of the municipality is entrusted with such powers. As regards the permits for installation of movable objects, competent is the chief architect of the municipality.